This product is amazing! Nothing else I’ve had can touch this! It looks good, it feels good and best of all it evaporates the sweat away from your hair. The best way I can describe It is…It breathes like a portable cooling system. 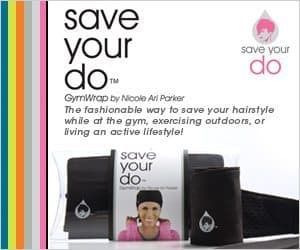 It really surprised me because I was so used to the soggy sweat filled headbands after my workouts. Now I can workout and keep a cute hairdo. It’s my favorite because it eliminates one of the excuses my clients give me for missing a workout. The other one is my cat ate my workout assignment!